The surprise in this announcement is a complete chipset, including "radio frequency IC (RFIC), Envelope Tracking (ET) and power management IC (PMIC) solutions," I've asked for more details. They promise chips in 2018, but don't specify when volume shipments will begin. The rumors in the industry range from early to late 2019. That and the processor provides almost all the chips needed for a full 5G phone. I'm sure they have a complete reference design that will enable all the phonemakers to deliver next year. 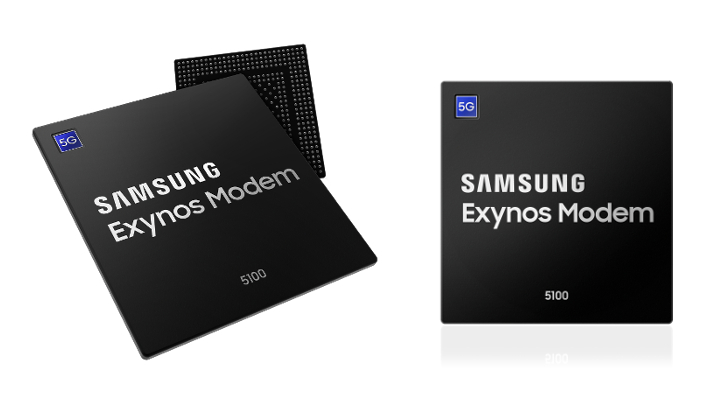 Samsung Electronics, a world leader in advanced semiconductor technology, today announced that it has developed Exynos Modem 5100, the industry’s first 5G modem that is fully compatible with 3rd Generation Partnership Project (3GPP) Release 15 (Rel.15), the most up-to-date standard specification for 5G New Radio (5G-NR). Built on power-efficient 10-nanometer (nm) process technology, the new modem also supports legacy radio access technologies designed into a single chip. Samsung successfully conducted an over-the-air (OTA) 5G-NR data call test under a wireless environment utilizing a 5G base station and 5G end-user equipment prototype embedded with Exynos Modem 5100. As the test simulated real-world cellular network conditions, this will ensure faster development and commercialization of 5G mobile devices that adopt this new modem. Samsung is also working closely with a number of global mobile carriers and partners to quickly bring 5G mobile communications to the market. The modem delivers a maximum downlink speed of up to 2-gigabits per second (Gbps) in 5G’s sub-6-gigahertz (GHz) settings and 6Gbps in mmWave settings, which are about 1.7 and five times the data transfer speeds of its predecessor respectively. Fast and stable data communication can also be secured in 4G networks with the downlink speed of 1.6Gbps. 5G’s capability to transmit large-capacity data and real-time low-latency communication is expected to bring new user experiences not only in mobile but also in areas such as the Internet of Things (IoT), ultra-high resolution videos, holograms, real-time artificial intelligence (AI) and autonomous driving. More information about Samsung’s Exynos products can be found at: http://www.samsung.com/exynos.